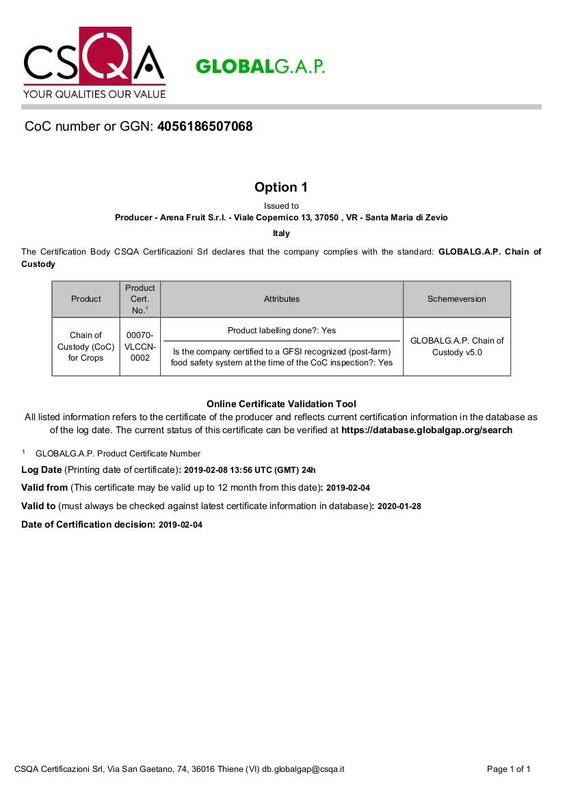 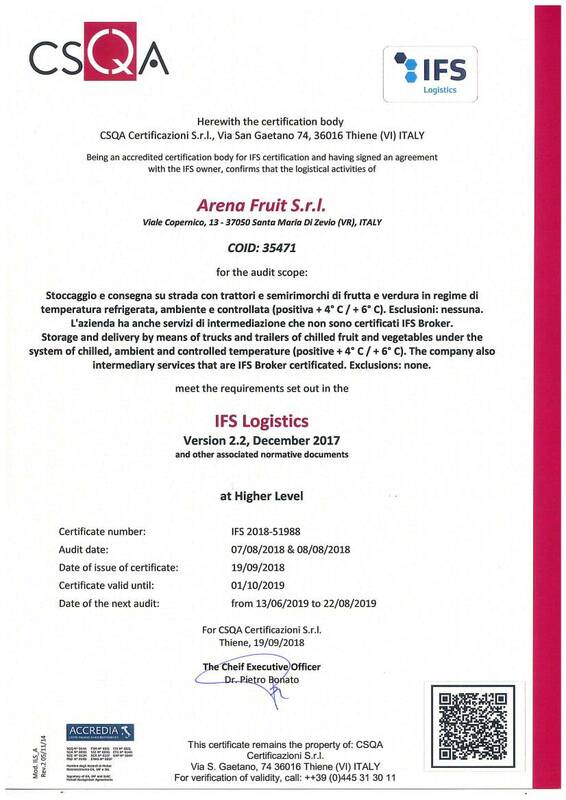 Certifications | Arena Fruit S.r.l. 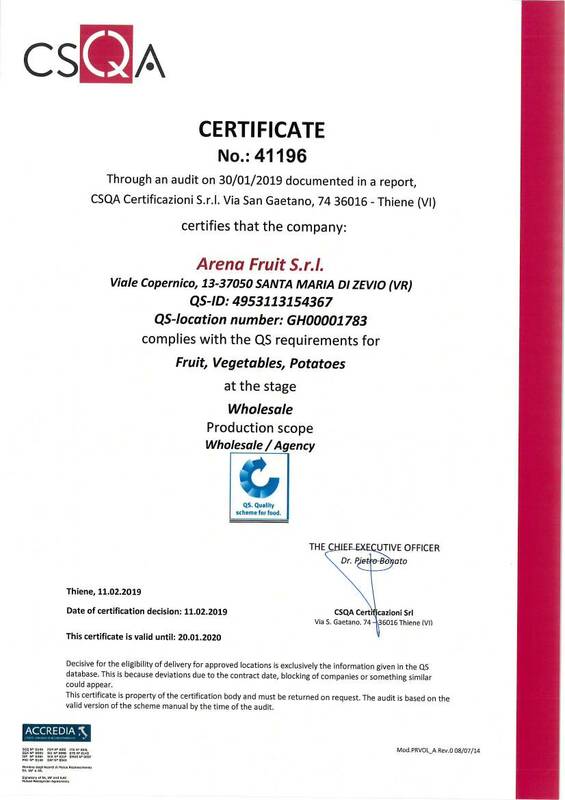 We take care about to the quality of the process of marketing the products. 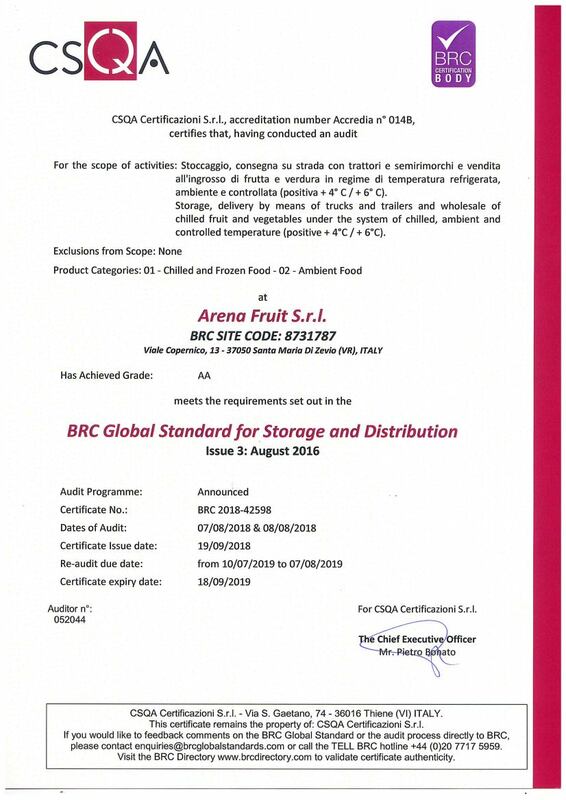 This is why we can boast BRC, GLOBAL G.A.P., QS AGENCIES FRUIT, and IFS certifications.